I am the one wearing the skirt in the photos and I absolutely love this skirt. It withstood being in a dusty old ghost town and looked fantastic on stage. It flows beautifully atop another 25 yard skirt and the fabric is soft and gorgeous. I highly recommend this piece. 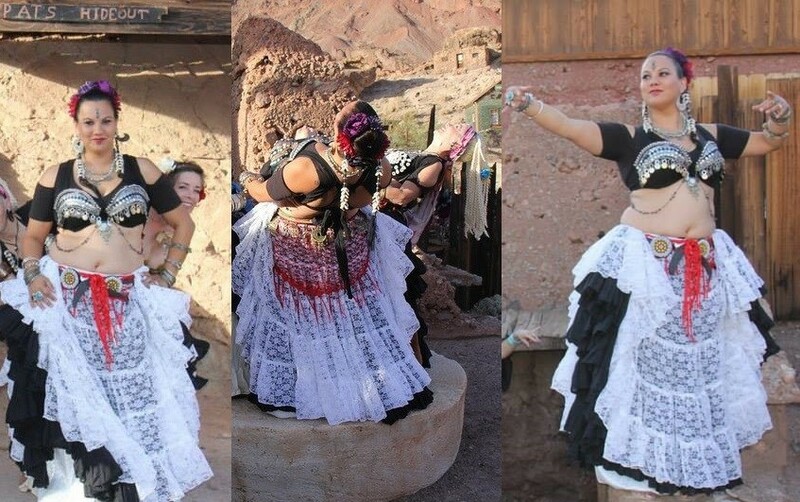 It is versatile for all styles of bellydance.